Google's referral program allows Rs 7,000 additional discount on Pixel 3 and Pixel 3 XL for new customers and also benefits existing Pixel and Nexus owners with a generous gift voucher. Google Pixel 3 and Pixel 3 XL are the epitomai of mobile photography. The 2018 flagships by Google strike a perfect balance between hardware and software, making them one of the best flagships you can upgrade to this year and the latest referral program by Google is giving an offer you simply cannot refuse. Google Pixel 3 and Pixel 3 XL have received their share of criticism, be it for that huge notch or the aging design, but some have even shown resistance towards the phones due to their price tags. Google Pixel 3 starts at Rs 71,000 for the 64GB model and Rs 80,000 for the 128GB variant. The Pixel 3 XL costs Rs 83,000 for 64GB and Rs 92,000 for 128GB storage. There are have been limited offers on Pixel 3 and Pixel 3 XL as compared to the predecessors, but Google's referral program makes for a really convincing deal. As the name of the offer suggests, it involves referring and the amount of savings you will do with it makes it worth the effort to find someone who can refer you to buy a new phone. Google announced on Thursday that anyone with an existing Pixel or Nexus smartphone can refer the new Pixel 3 or Pixel 3 XL to their friends and family members and help them get a lucrative deal on the new phones. Referee can avail an instant discount of Rs 7,000 on top of any offer that Flipkart is running on Pixel 3 phones at the time of purchase. Pixel 3 64GB is available for Rs 66,500 and the 128GB model (unavailable at the time of writing) is listed for Rs 75,500. 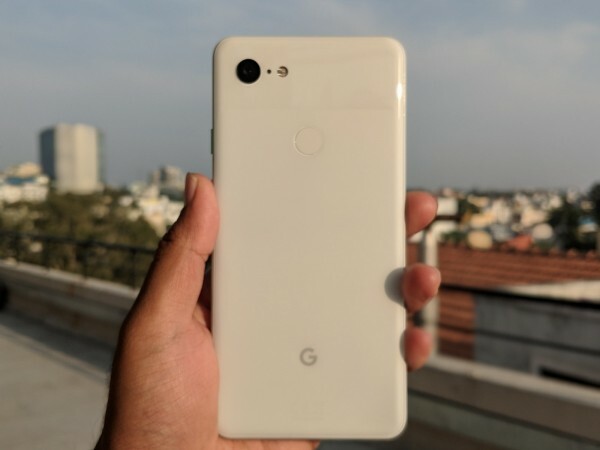 Pixel 3 XL 64GB is available for Rs 78,500 and the 128GB model (also unavailable) is listed for Rs 87,500. If you notice, Flipkart's pricing for the Pixel 3 phones is lesser than Google's listed prices. Lucky for new buyers, the Rs 7,000 discount can be applied on top of the discounted prices, making the deal worthier. It's worth noting that the referral program is live and the discount codes can be generated until December 20 and redeemed until December 24, 2018. If you think it is going to be hard to convince a Pixel or Nexus owner to convince to act as a referrer, Google makes it easier for you. Existing Pixel or Nexus smartphone owner will be rewarded with a Rs 2,000 Flipkart gift voucher, which is a win-win deal for all. Step 1: Existing Pixel or Nexus owner must log in to Flipkart app using their email ID and click on referral banner on the main page. Step 2: User will then need to enter the registered email ID once again to participate in Google's referral program. Step 3: An email with the unique link to avail the discount will be sent to the customer within 48 hours, which can then be shared with the referee or be used to claim the discount. Step 4: Clicking on the unique link will take you to a Flipkart page, which requires validation with a code. Upon successful validation, the discount of Rs 7,000 will be applied to Pixel 3 or Pixel 3 XL at the time of checkout. Now, buyers will be able to choose from Just Black, Clearly White and Not Pink colours. The Pixel 3-series dominates the camera department with special features like Night Sight and Top Shot. Stock Android Pie is also another reason why the Pixel phones stand out from the rest of the flagships.